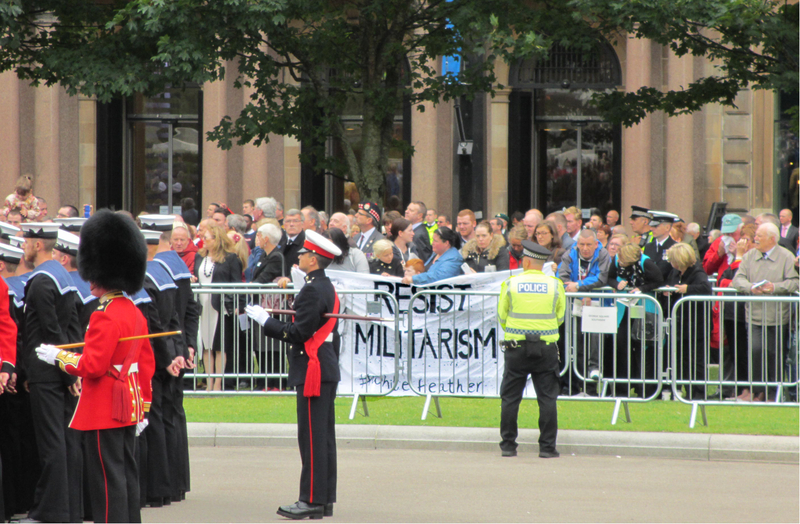 Home > Opinion > Why Does The Lord Provost Only Respect Dead Anti-War Campaigners? Why Does The Lord Provost Only Respect Dead Anti-War Campaigners? Today, the 15th of May, is International Conscientious Objectors Day. 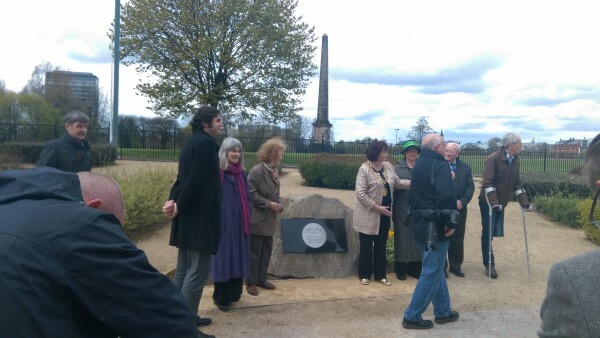 Last month, to coincide with the centenary of the International Women’s Peace Congress in the Hague, a memorial plaque dedicated to those who opposed WWI, and who fought locally for social justice during the war years, was unveiled near the Peoples Palace in Glasgow Green. If a tree falls in the forest but no-one is there to hear it, does it make a sound? Likewise, if a plaque is unveiled in the city but no-one is there to witness it, then, does it really count? The UK Government have spent £50million on ‘celebrations’ in commemoration of the centenary of ‘the war to end all wars’; re-framing an event, which has always been remembered in the context of the carnage and futility of war, into a celebration of national pride and glory. Last year’s national remembrance of the centenary took place in George Square and was attended by Prince Charles and a few hundred others who had gathered there as witnesses to the event. The centennial year of the outbreak of WW1 saw the beginning of four years of propaganda, aimed at justifying the needless slaughter of millions, under the guise of protecting freedom and democracy. The same rhetoric is regurgitated and used time and again in the present. In a similar way, elites will argue that we must all come together in the face of austerity and meekly accept public spending cuts for the sake of ‘the greater good’. In a complete contrast to the highly publicised Remembrance was the unveiling of the plaque commemorating war resistors in Glasgow Green. Lord Provost, Sadie Docherty, revealed the small steel disc set into a rock to a small group that consisted of invited peace activists and a few cameras. We stood aside, in silent protest. Rather than commemorate those the plaque was intended for, our Lord Provost elected to use her speech to continually remind us that in no way should the unveiling of such a plaque be used deny the honour and glory of those heroes who fought and died in the war. This had the effect of dampening any critical reflection that such a plaque might invite. Her words were chosen to glorify the carnage of WW1 and gloss over the ugly realities of war, and those who oppose it. In effect, it was an insult to the memory of the people we were gathered there to remember. After the ceremony, a solitary white poppy was placed at the foot of the memorial and the crowd dispersed into the grey Monday afternoon. There was no cheering or celebrations, just a muted applause, and it was all over. This plaque in Glasgow Green also commemorates groups such as the Women’s Peace Brigade which originated in Glasgow, and amongst their ranks stood the likes of Mary Barbour, Agnes Dollan and Helen Crawfurd. John MacLean, – a local schoolteacher imprisoned in 1916 for being an agitator against the war, and released in 1917 after mass public demonstrations – along with others, would regularly hold court in public meetings to large crowds about war profiteering and class struggle. Helen Crawfurd was sentenced to one month’s imprisonment in Duke Street prison for smashing the windows of the recruitment offices and subsequently released after 8 days on hunger strike. Glasgow Green was also a prominent location for massive anti-war demonstrations where they would address crowds of thousands, speaking out against militarism and distributing literature with socialist messages. In her speech, Sadie Docherty also gave a nostalgic nod to the ‘great Glasgow’ women. This was not only a betrayal to those people, but contradicts the sanctioned criminalisation of contemporary anti-war campaigners. During these ‘celebrations’ in 2014, Glasgow campaigners continually spoke out against the glorification of war past and present. They were not granted a handshake from the Lord Provost, instead, the state attempted to censor, inhibit and obstruct the activities and lives of the campaigners. So why does the establishment only respect dead anti-war campaigners? And why did it want this memorial to remain unseen? History affords a comfortable distance from the realities of anti-war activism: this unveiling was ‘out of sight’, and ‘out of mind’. Making conscientious objectors an intrinsic part of the narrative of WW1 remembrance surely begs the question: Why go to war? Who sacrifices and who profits? Conscientious objectors would suffer periods of detention in state prisons and labour camps for their beliefs. The label of traitors and ‘shirkers’ refers to persons who seek to save their own skin; this is a way the powerful elite frame war resistors as selfish and against the good of the nation, when in fact the polar opposite is true. To stand against the state (and capital) takes courage of the highest order, and to risk death for one’s beliefs is anything but selfish. If the history of the 20th century has taught us anything, surely it is to hold close to our hearts that obedience to the law is not necessarily the humane or moral choice. Robert Duncan in his book, Objectors and Resistors to Conscription in Scotland 1914-1918, estimates that there were well over a thousand conscientious objectors in Scotland and up to 20,000 in the UK. In nearly every town and village we can find war memorials inscribed with the names of the war-dead, but where are the lists of conscientious objectors and war resistors who stood for integrity, courage and social justice? Memorials are not only about the past, they are also a collective calling on history to create the present political moment: construct our current values and shape how we move into the future. The ritual of memorialisation which occurred last month tells us that remembrance of those who do not whistle to the tune of militarism should be modest, quiet and kept out of sight. Just as solidarity between voices against the war was a threat to the establishment at the beginning of the 20th century, so it seems that the same is true today. The social traumas of imperial and class wars have not been acknowledged or corrected. As long as we live state which conducts wars with impunity the memory of our working class leaders is neither dictated by, nor property of, that state. Rather, it is held in the spirit of the actions of solidarity and resistance. What does this plaque in Glasgow Green mean to us today? As austerity bites and the government removes opportunities for many young and working class people, the army – as it has always done – offers our children a way out of poverty. Army recruitment officers trawl our schools, colleges, universities and city centres trying to sign up a new generation to maim and kill – still under the guise of honour and glory – but for oil and profit. The lessons now are the same as then: the poor die and the rich pillage to preserve their power, profit and privileges; their pride is our shame. 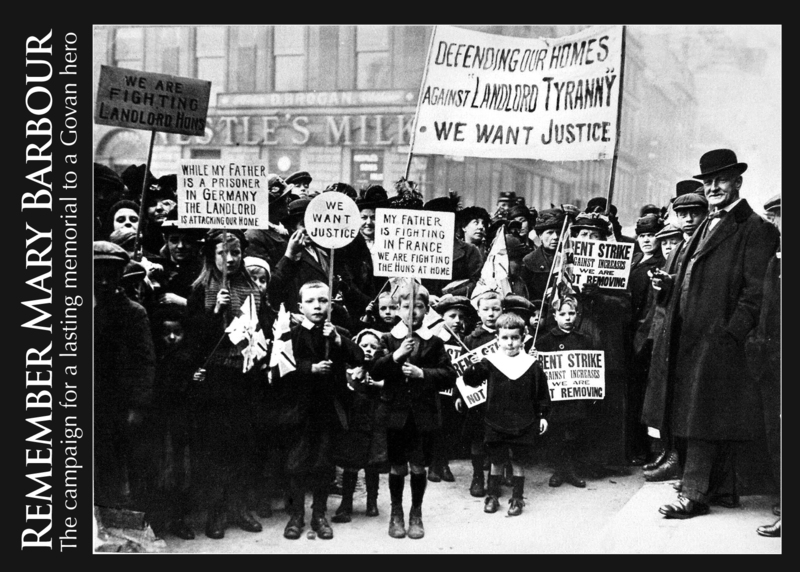 Remembering now 100 years on, the message remains the same and the struggle continues. Today, the 15th of May, is also the commemoration of Al-Nakba, the day of catastrophe in Palestine, yet another poignant reminder of our imperial elites’ continuous and perpetual attitude of brutality and contempt. The military industrial complex, which created millionaires in WW1, continues to expand: Gaza and the West Bank being its latest testing ground. 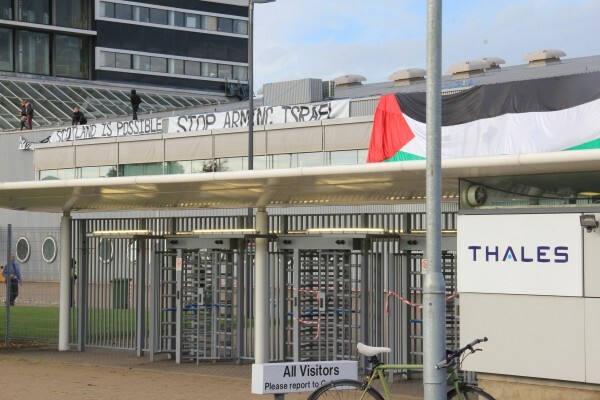 Today we, with others, will be standing in St Enoch’s Square in the city centre in solidarity with the Palestinian Resistance, and for the diasporas’ right to return to their villages in the occupied territories of Palestine. We remember all those who risked so much by standing up against imperial wars during WW1, and we honour all those who continue to do so today. No glory in war: yesterday, today and tomorrow. THE GFT is showing “We are the Many” on Thursday 21st May. This film tells the story of the “biggest demonstration in human history” – the demonstration against the Iraq invasion and is followed by a discussion with John Snow and others on the global impact 12 years on. Other showings are available throughout the country. I appreciate that’s a subtext the army recruitment offices like to peddle but it’s not true and never has been. Too many ex-army personnel come out broken or end up broken, traumatised by their experiences and collapsing into alcoholism, asylums or homelessness. I have often thought that, when celebrations are held (3 times so far this year ?) to glorify war at the Cenotaph, Londoners should simply not go. Like sheep, they trundle out in the rain. Nothing would so deflate the war brigade as the Queeh laying flowers in an empty Whitehall, uncovered by the sanctimonious BBC. Instead, let us have a secular Veterans Day in the Albert Hall, conceived and run for themselves by those who suffered, warmongers past and present excluded. The Queen could attend and speak against war making. Ploughing my way in fascination, amazement & anger thru HIDDEN HISTORY The Secret origins of the First World War by Gerry Docherty & Jim Macgegor which blows away the common accepted myths that have been peddled. Don’t see this making it onto the big screen but here’s a challenge to any of the many talented contributors out there- how about writing a stage version of this book? General Smedley Butler, the highest decorated general in American history wrote a very famous book in the 1930s titled ” War is a Racket” he came to the conclusion after many years in the Army that he was a mug, he wasn’t fighting for America but for the interests of Oil Corporations and bankers. 10,000 people became millionaires and billionaires out of the First World War.